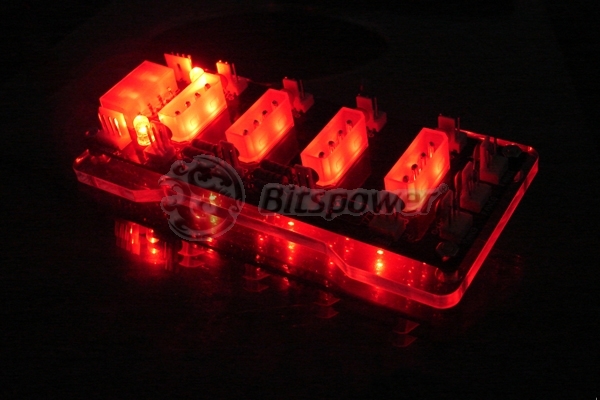 The Bitspower X-station Power Extension I Male Version features Four 4Pin Male Connectors, Eleven 3pin Male Connectors and one input 4pin connector to provide power to various components. Using the power station eliminates excessive wires. The Power Extension gives you extra connectors to add Fans or Lights to your case with out having that wire mess. The X-Station provides an LED lighting effect when the unit is powered on. Affix to surface using provided hook and loop (like Velcro(TM)).